Who chooses the Rebel Spy? 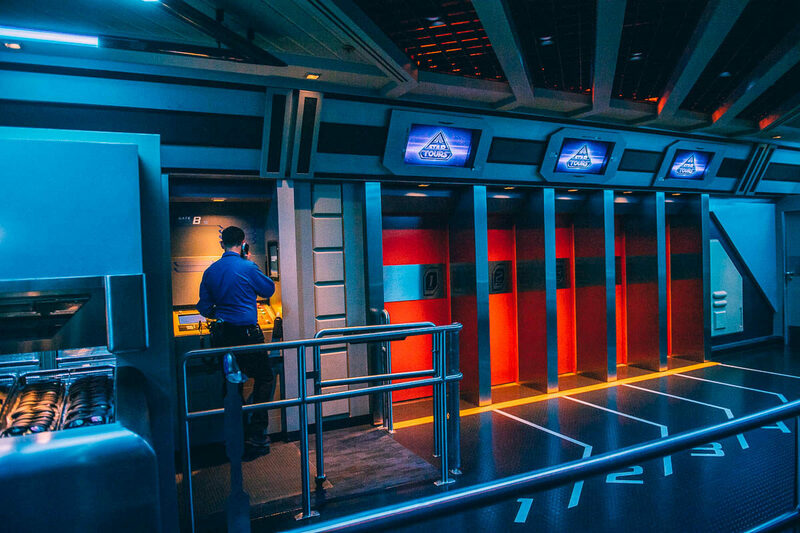 The biggest interactive feature of Star Tours: The Adventures Continue is the addition of a Rebel spy. During the first encounter with Darth Vader, or the Imperial Prowler Droid, a pictures of one of your fellow passengers gets shown on the screen, branded as a Rebel Spy, wanted by the Empire. It’s a moment that often gets a lot of attention, which can mix between pretty awesome as awkward, like an entire restaurant singing along when they bring in the birthday cake. But I think this analogy perfectly sums up the difference between America and Europe. But how does one become the Rebel Spy? And when do they take your picture? First of all, we can reveal now to you that it never has been a random selection. And for the first time, here are some exclusive images showing you the process. Boarding the Starspeeder 1000. 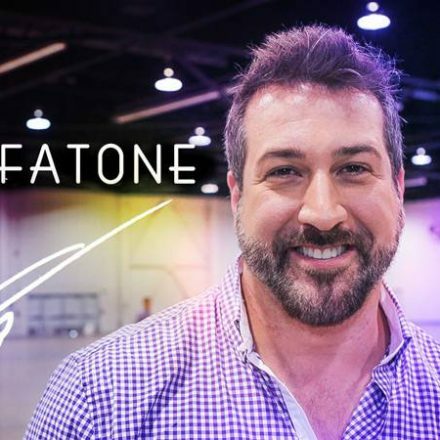 Note the dark plastic console on the left, probably housing the camera. First of all, you are instructed not to put on your Flight Goggles before instructed to by the Cast Member. In the stateside parks, this is when the picture gets taken by a hidden camera in the center of the frame. This ensures that the faces are clean from the flight goggles. The Starspeeder is almost ready for departure. 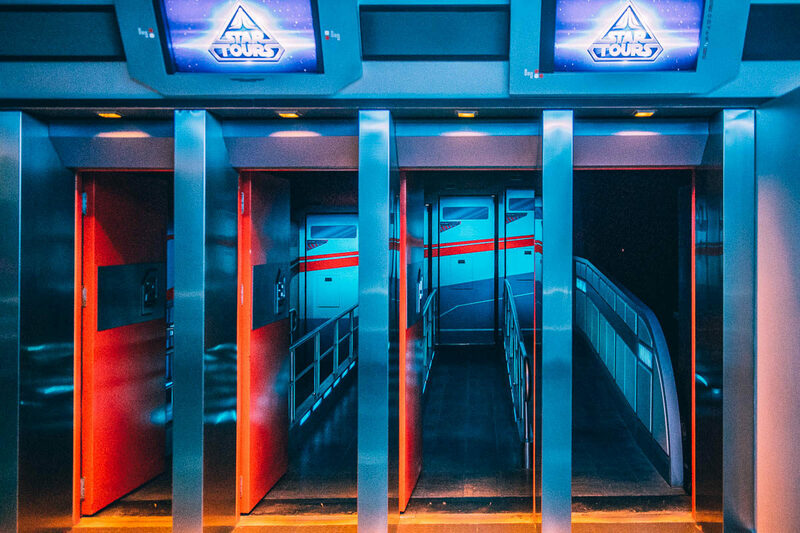 In the French resort on the other hand, the picture on the other hand gets taken when the cast member has exited the Starspeeder, just before the lights dim to a dark blueish green tint. This means that every Rebel spy will be wearing goggles. Is this a problem in the translation, or a deliberate choice, since people are also instructed not to put on their flight goggles before? 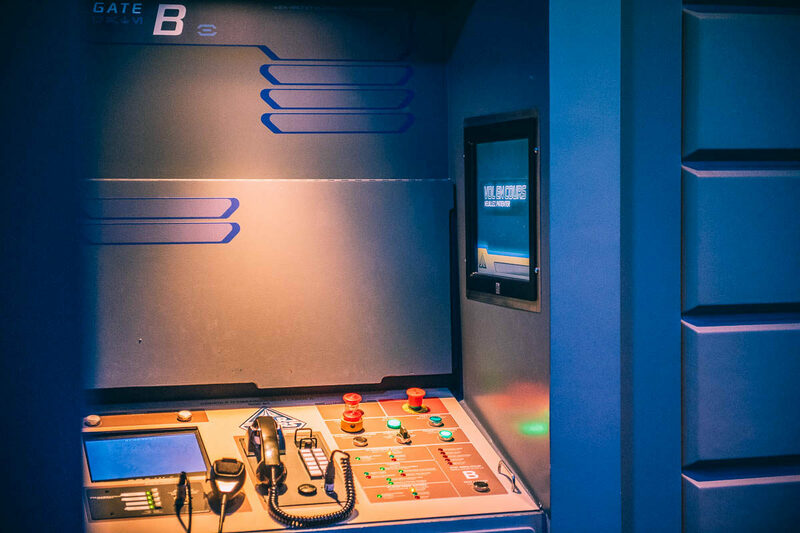 It seems that in Paris, the camera is hidden next to the regular security camera in the dark panel on the top left, above the safety control panel the Cast Member checks if all seatbelt are securely fastened. The moment between the doors closing and the ride actually starting can very quite a lot between rides. 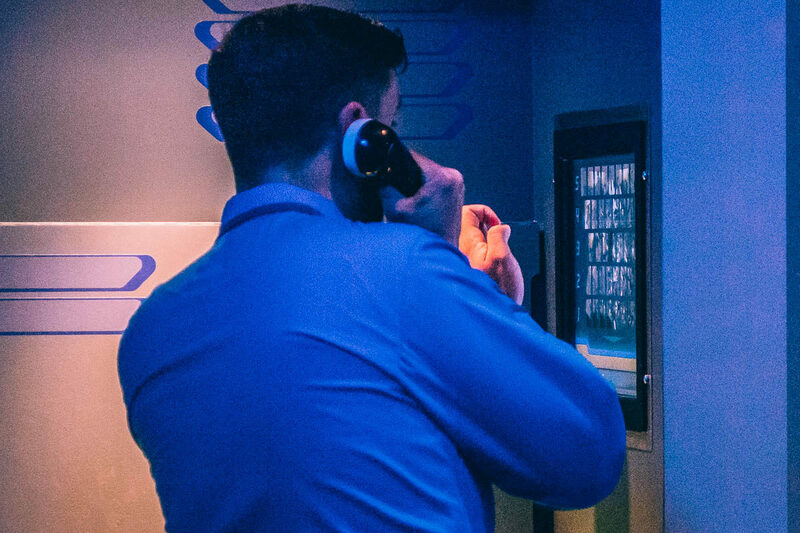 This is the moment that the Cast Member checks his touch-screen console built in the wall, selects a face from the picture and frames/crops it. Also an important detail is that there is a selection button to select the persons gender, so the Hologram uses the correct pronouns. It’s impressive that the user interface is also completely themed, for what is basically a screen that will rarely gets seen. 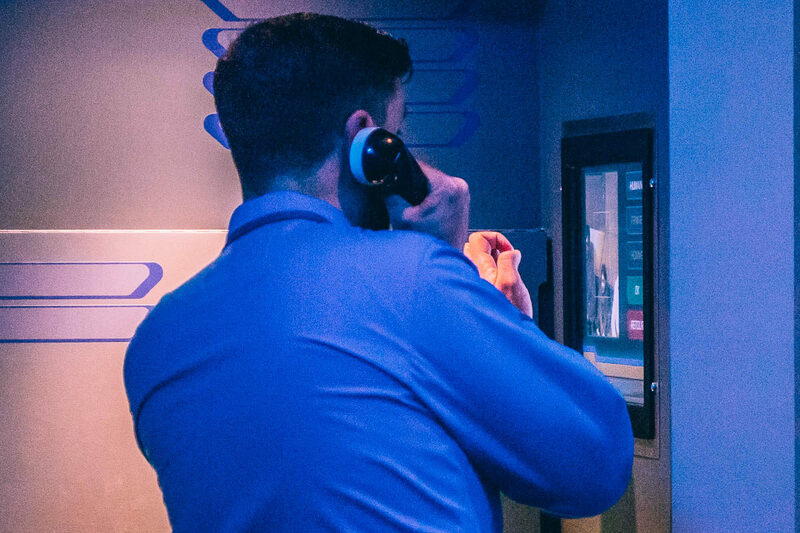 The cast member on the phone with the control center, choosing the spy. Cropping the picture, and selecting the gender. Getting chosen all depends on the Cast Member. For example, a guy on his stag, dressed up as a princess was the Rebel spy for sure, while other moments it can be a kid, or even yours truly.If the cast member does not chooses an image, a random stock photo gets chosen. 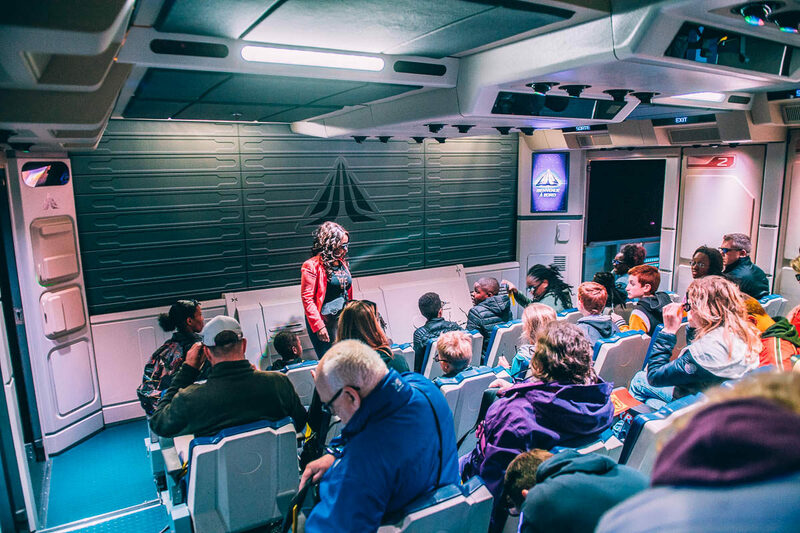 A nice touch during the ride is when the Rebel Spy gets shown on the screen, the lights in the Starspeeder light up the chair, so everyone can see your moment of glory. (Or no way to hide when you’re horrified of people interaction). One of the things that struck us as odd, is that when Darth Vader stops the speeder, the Rebel Spy gets shown on the side screen, but when the Imperial Prowler Droid does it, the image gets shown on the screen as a hologram. It seems to add an extra level of complication for an already complex action of uploading and featuring live pictures in a randomised video. 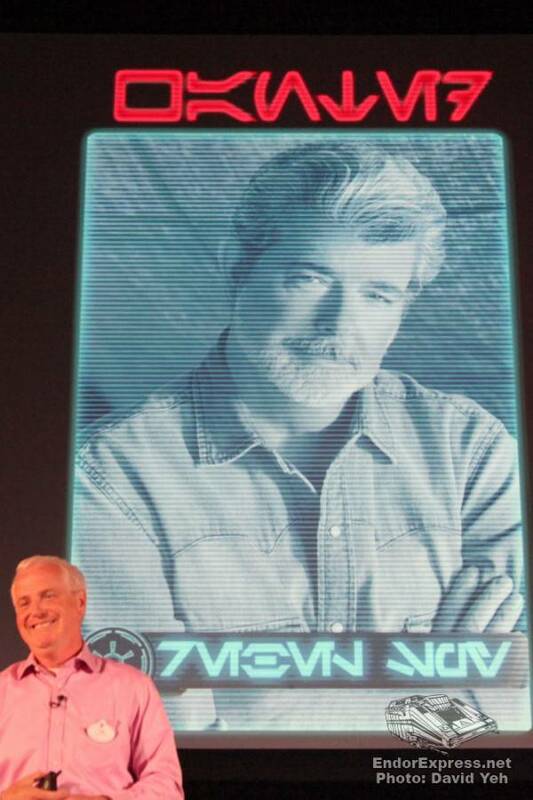 By the way, did you know that when all the images of potential Rebel Spies flash by, one of them is George Lucas? 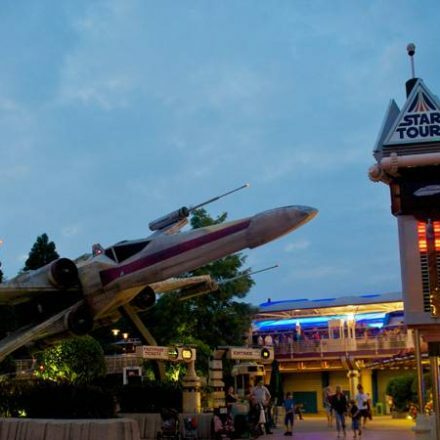 This was revealed at the D23 Expo 2011 panel The Making Of Star Tours. And now it’s your turn. 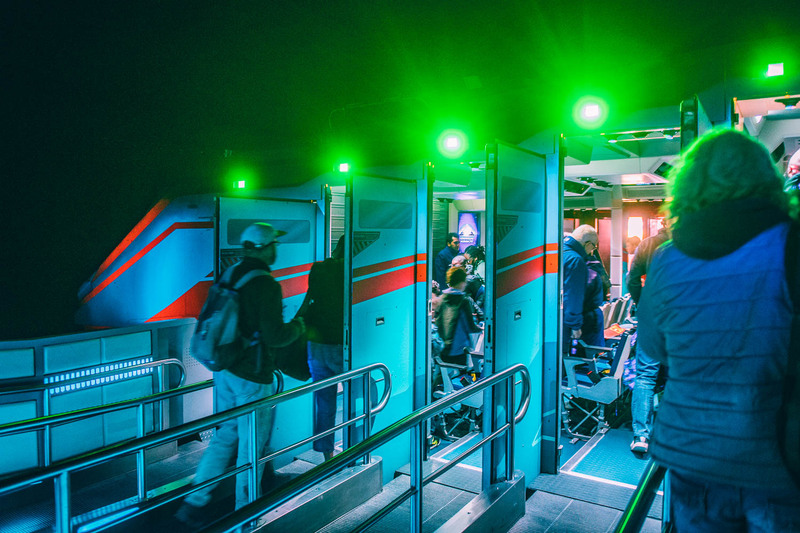 Have you been the Rebel Spy on your Star Tours Flight 1401? Let us know in the comments! My son was selected as the rebel spy when we went to dlr in march. being the son of a rebelscum.com admin made it extra special and i made sure to get him the t-shirt afterwards.